BioLipotrol by Nutra BioGenesis features red yeast rice extract, coenzyme Q10 and green tea to support your heart and liver. 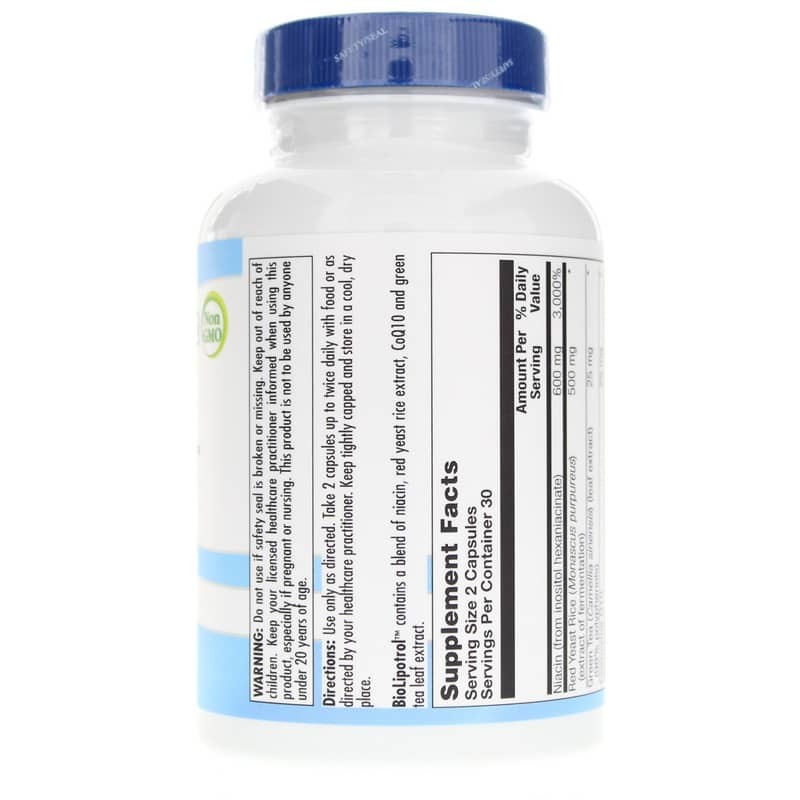 This all-natural supplement is designed to support the body in regulating the manufacture and metabolism of cholesterol, HDL, LDL and triglycerides. 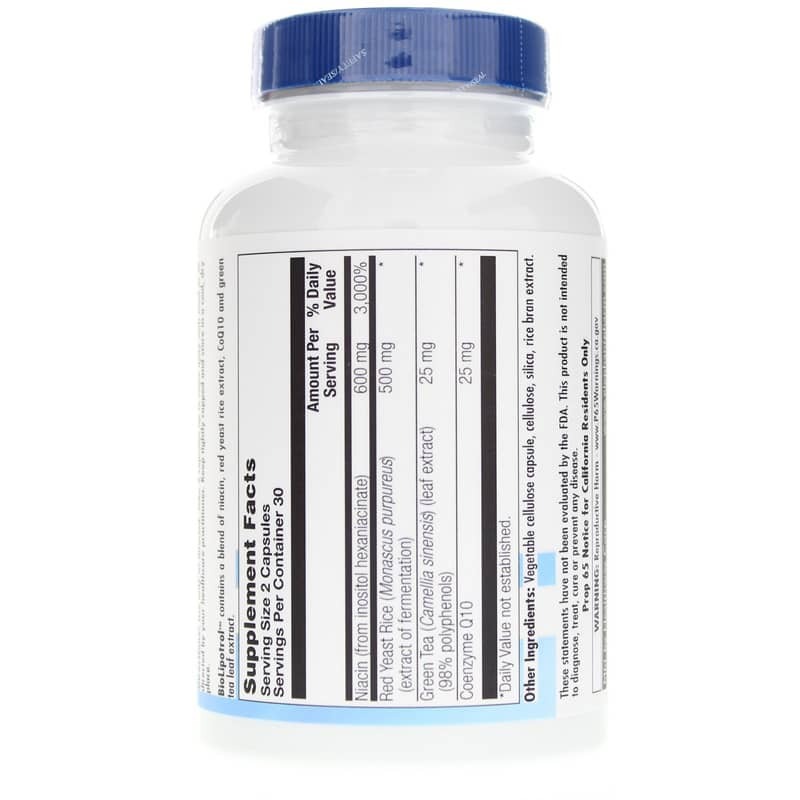 Bio Lipotrol contains Inositol Hexonicotinate - a form of niacin that is slowly released into the body over several hours, providing all the lipid lowering effects of niacin with little or no flushing response. Red yeast rice has been shown to provide support for healthy lipid levels. The monacolins in red yeast rice exhibit HMG-CoA reductase-inhibitory activity. This activity may in part explain the lipid-modulating effects of red yeast rice. Contains NO: gluten, GMOs. Vegan. Adults: Take 2 capsules up to twice daily with food or as directed by a your healthcare professional. Pregnant women and nursing mothers should avoid this product. 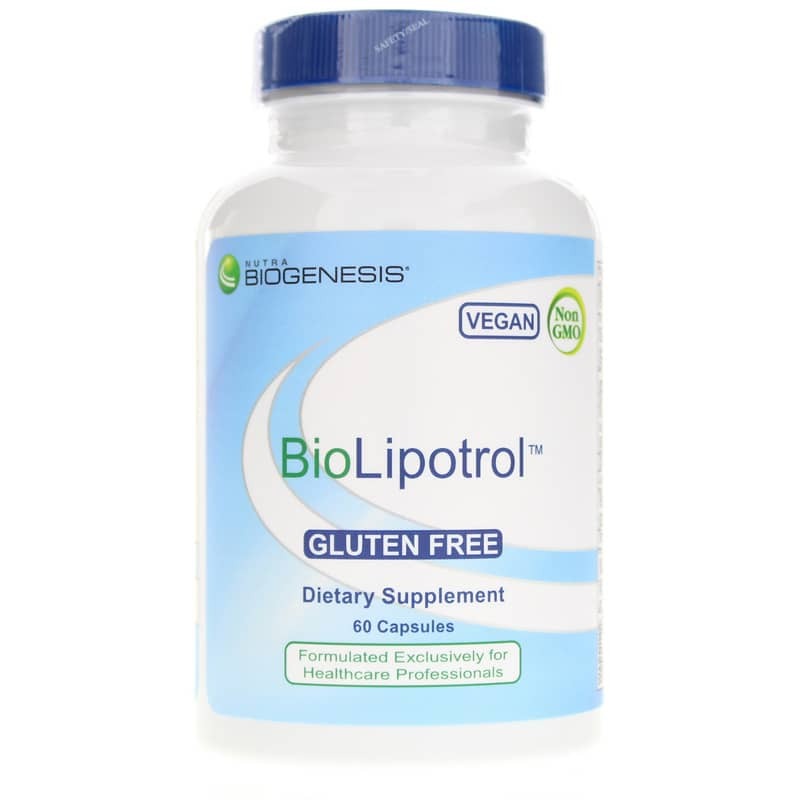 Persons with liver dysfunction, gout, renal dysfunction, peptic ulcer disease, gastritis or a known sensitivity to any of the ingredients in this product should avoid using BioLipotrol. Keep out of the reach of children. My doctor recommended I take this product, and it is helping.